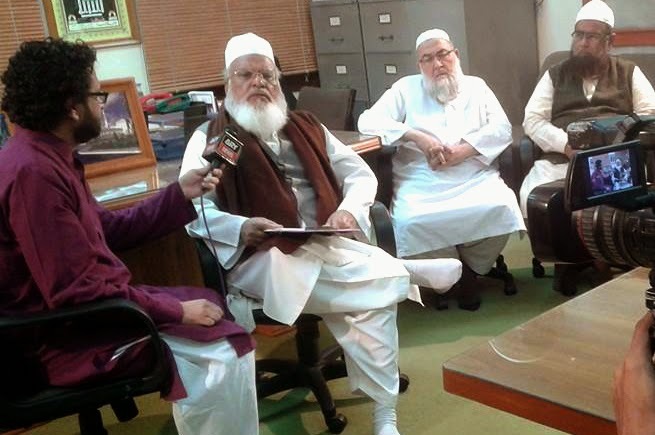 Exclusive Video "Mufti-e-Azam Pakistan Hazrat Mufti Rafi Usmani Sahib Ka ARY Channel Ko Peshawar Saniha Per Khususi Interview", Mufti Sb expressed his views on the behalf of his known madrassa "Jamia Darul Uloom Karachi". He expressed great anger to such people who he accord not to even call them humans, he send condolence to the families suffering from the unbearable pain of losing their loved ones and ask the nation to stand up united against such barbarians. Other known Ulama of Darul Uloom were also present there with Mufti Rafi Usmani Sahib like Maulana Aziz-ur-Rahman Sahib, Maulana Mufti Muhammad Ashraf Sahib and Mufti Abdul rauf Sakharvi Sahib.